On 12-14-17 the FCC (in the USA) voted to end Net Neutrality rules that were put in place in 2015. One of the interesting parts of the vote, is that the person that was put in charge of the FCC was the lead attorney for Verizon, in a previous life (not that his previous life would ever influence the current one – INSERT SARCASM HERE). 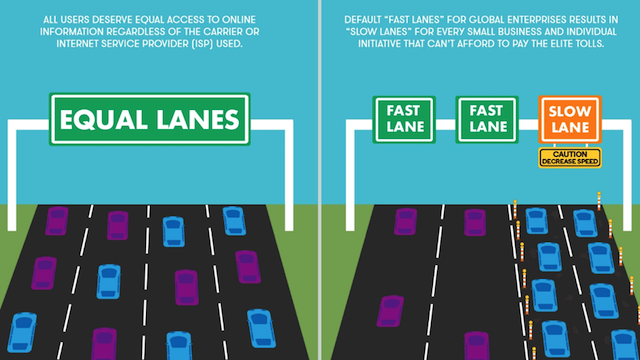 Since the vote, I’ve had many people asking “What is Net Neutrality” and “How does it affect me”? Well one of the best explanations I have seen about both what is Net Neutrality and what you can do at this point comes from the Editor in Chief of Wired Magazine Nicholas Thompson. In the following video from the Wired Facebook page, Mr. Thompson explains, with some easy to understand examples, what this really means to you. Wired also has addition information on Net Neutrality on their site.